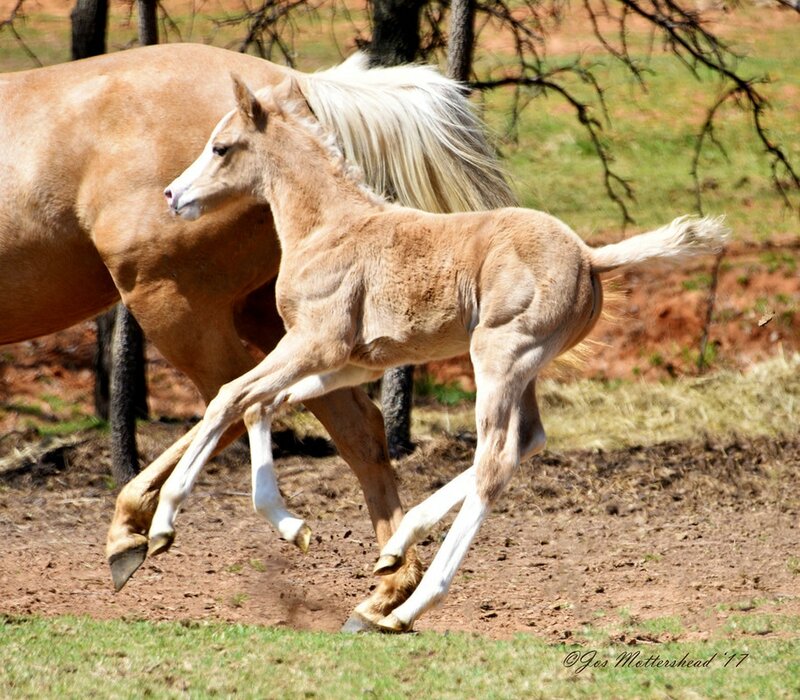 This filly is a compilation of some very fun and interesting breeding. Her dam, Givenchy Gold d'Avalon, is by the only cremello Thoroughbred stallion in the world currently that is fully licensed and approved having successfully completed the stallion performance testing at Silver Creek International. Her dam, Persis, is by Prince Optimus, a Hanoverian stallion with a dual purpose pedigree that had a successful career in dressage. Her sire, Smoke Tree Poetry in Motion, stands at 12.2 hands, “Poet” is a true embodiment of his internationally reknown pedigree and possesses all the most desired traits of a Welsh B stallion. In 2015, he was the first Welsh B to successfully complete the North American Pony Stallion Testing at three years old and received impressive scores of 8.38 – jumping, 8.13 – cross country, 8 – rideability, 8.13 – interior, and 8.16 – overall. Galadriel is the epitome of sport pony breeding. She should mature to be a large pony and with her endearing and sweet temperament, a super riding companion for either a small adult or a child. And the icing on the cake? Her beautiful gilded coat and three blingy high stockings and a blaze! If you are interested in purchasing her, please don't hesitate to contact us. She is reasonably priced for the perfect home!